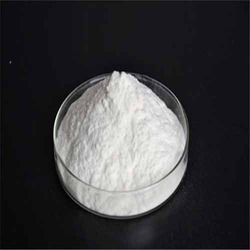 Leading Exporter of closantel base, fenbendazole, albendazole and nyclosamide from Mumbai. Appearance White or yellowish crystalline powder. We are among the eminent manes in the industry for supplying and trading Closantel Base. The offered drug is formulated from high-grade inputs by our reputed manufacturers and has earned us loads of profits. Melting point Between 215.0? ?C and 233.0??C. We are among the eminent manes in the industry for supplying and trading Fenbendazole. The offered drug is formulated from high-grade inputs by our reputed manufacturers and has earned us loads of profits. Treatment and control of gastro-intestinal nematodes in pigs infected. Treatment of gastro-intestinal nematodes in chickens infected. We are among the eminent manes in the industry for supplying and trading Albendazole. The offered drug is formulated from high-grade inputs by our reputed manufacturers and has earned us loads of profits. Albendazole, also known as albendazolum, is a medication used for the treatment of a variety of parasitic worm infestations. It is useful for giardiasis, trichuriasis, filariasis, neurocysticercosis, hydatid disease, pinworm disease, and ascariasis, among others. It is taken by mouth. 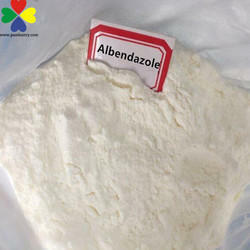 Albendazole is mainly used in cattle and sheep, but has found some use in cats and dogs as well. We are among the eminent manes in the industry for supplying and trading Nyclosamide. The offered drug is formulated from high-grade inputs by our reputed manufacturers and has earned us loads of profits.Niclosamide, sold under the trade name Niclocide among others, is a medication used to treat tapeworm infestations. This includes diphyllobothriasis, hymenolepiasis, and taeniasis. It is not effective against other worms such as pinworms or roundworms. It is taken by mouth. Looking for Veterinary Ingredients ?